If you haven’t yet been swept up by the kombucha crazy train, you may be wondering what kombucha is. 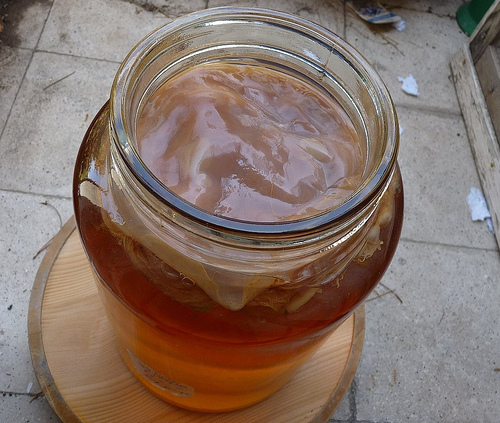 Kombucha is a traditional fermented beverage and it has numerous health benefits. I use it with clients to help them control sugar cravings as it has a faint hint of sweetness. It’s also great for digestion as it contains a wonderful array of beneficial bacteria that keep our intestinal environment healthy. And for several years I’ve been drinking it regularly. So then why did I stop drinking it? Plain and simple. I got sick of it. Like really sick of it. But like many phases in my life my kombucha phase had a great run. I made it at home, gave away cultures (aka kombucha mushrooms) to friends and strangers and had seemingly endless conversations about it on various message board. Initially, it was fun brewing it at home and watching the cultures grow and multiply. But last fall I started noticing that after two weeks of brewing the next batch, I’d barely touched the previous batch in my fridge. So eventually I had to listen to my taste buds and admit that it was time to move on. I threw away the mushrooms and dumped my last overly fermented batch down the drain about three weeks ago. But I think there’s a deeper dynamic to why this happened. Recent scientific research has shown a strong connection between our food cravings and the composition of our gut bacteria. One of the theories of why people with yeast/candida overgrowth crave sugar so much is that it’s the yeast that are creating the cravings. Yeast feed on sugar and if too much sugar becomes available, they can start to overgrow and squeeze out the other bacteria that keep our intestinal environment thriving and healthy. This is akin to an overgrowth of algae in a pond. When too much of a particular nutrient becomes available, algae can overgrow which in turns makes oxygen less available which can kill much of the marine life in the pond. I believe the opposite dynamic can happen when we eat too much of one type of cultured food (or any food for that matter). Our gut bacteria will literally make us get sick of it. So we (or they) crave variety to keep our (or their) internal ecosystem healthy. Remember, Science has identified at least 400 different strains of bacteria that live in our guts and they play dozens of roles in keeping us healthy. Different fermented foods present different strains of beneficial bacteria and those strains will vary depending on many factors. For example, the bacteria from a fermented vegetable will vary depending on the type of vegetable and the soil and climate it was grown in. We have about ten times more bacteria that live in our gut than we have cells in our body! Eating a variety of fermented foods is a good way to ensure their health and yours. 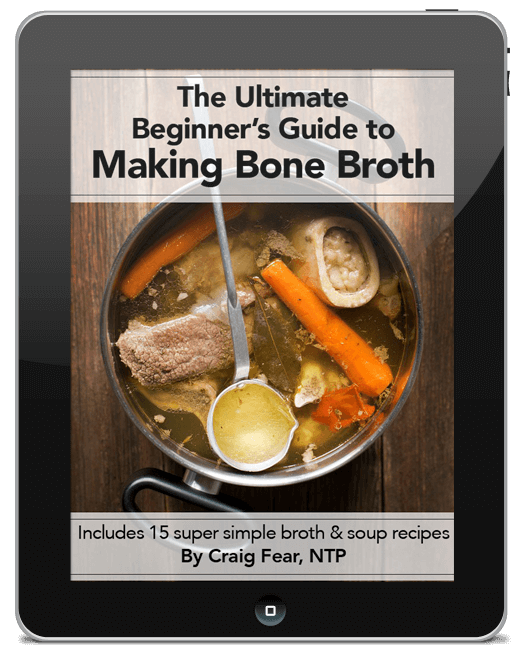 There are tons of great resources for learning how to ferment foods on your own. Wild Fermentation by Sandor Ellix Katz is my personal favorite. And of course, Nourishing Traditions has a great section on cultured foods. 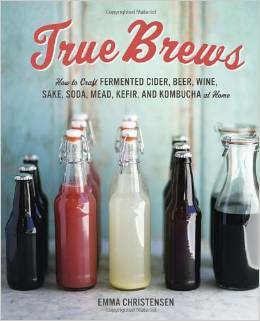 True Brews by Emma Christensen is a great guide for fermenting a variety of beverages at home. Check it out! And if you’re new to fermented foods, keep in mind they’re a bit of an acquired taste. Don’t give up on them if you find their taste overly sour at first. Stick with it, and I bet that in a relatively short time, you’ll not only be eating them regularly, you’ll want to eat them regularly. Or perhaps I should say they will want you to eat them regularly.